PROVO – A balanced offensive attack helped BYU men’s basketball to a 95-81 win against Belmont Saturday night at the Marriott Center. The Cougars outscored the Bruins 55-39 after halftime. Four Cougars ended the game in double-digit points, with Kyle Collinsworth contributing a season-high 26 to go with 10 assists and nine rebounds for a near triple-double. Nick Emery collected a career-high and team-leading 27 points, while Chase Fischer added 19. Kyle Davis finished with his third double-double of the season, consisting of 11 points and 14 boards. After Collinsworth hit the first shot of the game, BYU (4-1) went on a cold streak, missing its next eight-consecutive shots. Belmont (4-3) played the Cougars poor shooting to its advantage, taking an 8-4 lead on a 3-pointer with 15:15 to go in the first half. Three-straight Bruin triples helped propel Belmont to a double-digit advantage at 25-14 inside of the 10-minute mark. BYU countered with a 6-0 run, capped off by an old-fashioned three-point play by Collinsworth, to come back within five, down 25-20. 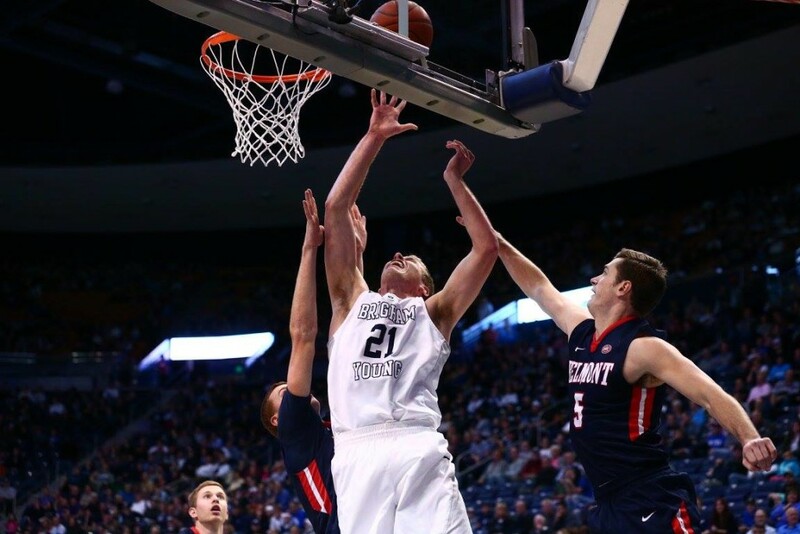 Collinsworth finished a shot down low to tie the game at 30-all before a Jake Toolson trey gave the Cougars their first lead in nearly 10 minutes of game time. The Bruins then took the 42-40 edge going into halftime. Emery and Collinsworth each had 13 points at the break to lead BYU. 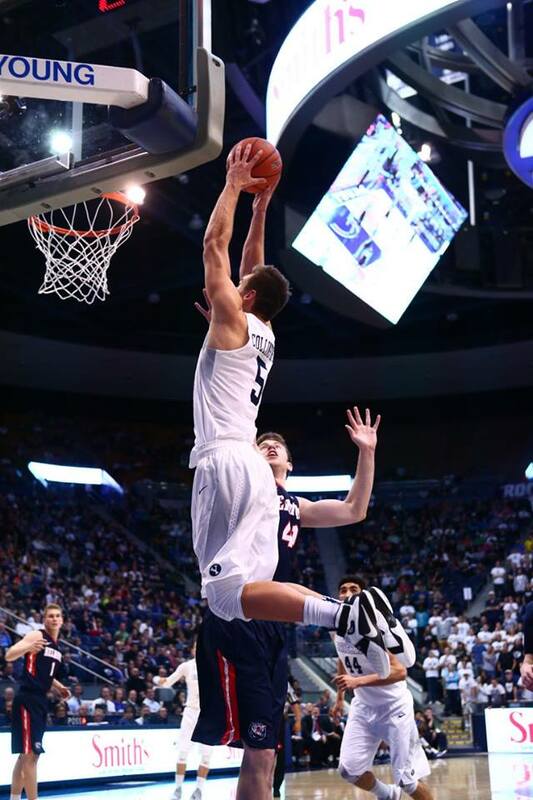 Davis had six boards while Corbin Kaufusi added five. Belmont’s Craig Bradshaw led all scorers with 19 points on 7 of 9 shooting. The Cougars hit their first seven shot attempts coming out of halftime, including a pair of Emery 3s and one from both Davis and Fischer, to take a six-point 59-53 lead. Following a deep 3-pointer from Fischer, BYU took its first 10-point advantage of the game at 65-55 with 13 minutes remaining. The Cougars remained comfortably in control throughout the rest of the half, including going on a 9-0 run over a 1:29 span, to extend their lead to 86-68. BYU closed out the game with a pair of Fischer free throws to get the 95-81 win. The Cougars return to action Wednesday, Dec. 2, at Utah in an 8 p.m. MST tipoff. The game will be broadcast live on the Pac-12 Network as well as the Cougar IMG Sports Network.